Releasing Taiwan’s First Newspaper in Print! 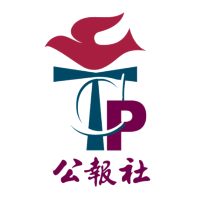 Taiwan Church Press (originally called “Chū-Tin-Tông”, ie. “Treasure Hall”) was established in 1884. As the first printing office in Taiwan, it released the country’s first printed newspaper, which remains the longest published newspaper in the Mandarin speaking world. Under the rules of the Qing Dynasty, Japan and the KMT Government, Taiwan Church Press has played a critical role in promoting literacy, documenting the histories of church and society, as well as testifying the development of Taiwan’s democracy. Nowadays Taiwan Church Press is modern and trending, bringing diversified services to the people in Taiwan. With our publications such as “Taiwan Church Newspaper”, “Keng-sim Weekly”, “Reading the Bible with New Eyes Booklets”, “Parent-Child Interactive Newspaper” and “Youth Shall See Visions”, we are proud to satisfy the requests of our customers of all ages. Subscriptions are free of charge and we also encourage people to donate with any amount of money. 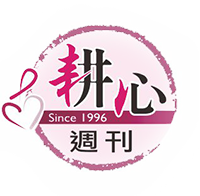 To serve all churches, Taiwan Church Press has the Business Department which develops liturgical products and publishes Christian books. At the four bookstores countrywide, we sell products such as stationery, gifts, CD/DVDs, books and other liturgical items. Welcome to visit one of our bookstores near you.